Used For: The herb is known to induce perspiration, treat bacterial infections and lower blood pressure. White mulberry improves vision, promotes liver activity, and relieves wind heat. It can be applied to treat pulmonary congestion associated with yellow phlegm, sore throat, and coughing. It helps treat eye conditions, when the symptoms include aching, dry, and red eyes. The herb may also be applied in case of hemorrhage with heat symptoms. Preparation and Intake: The common dose if 5-12 grams. 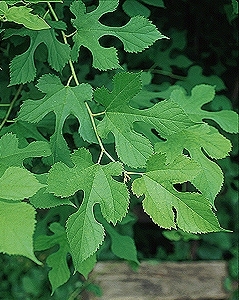 Safety: People suffering from general weakness, accompanied by cold in the lungs, should avoid taking white mulberry leaves.